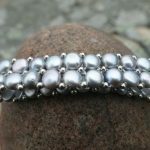 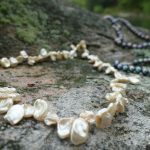 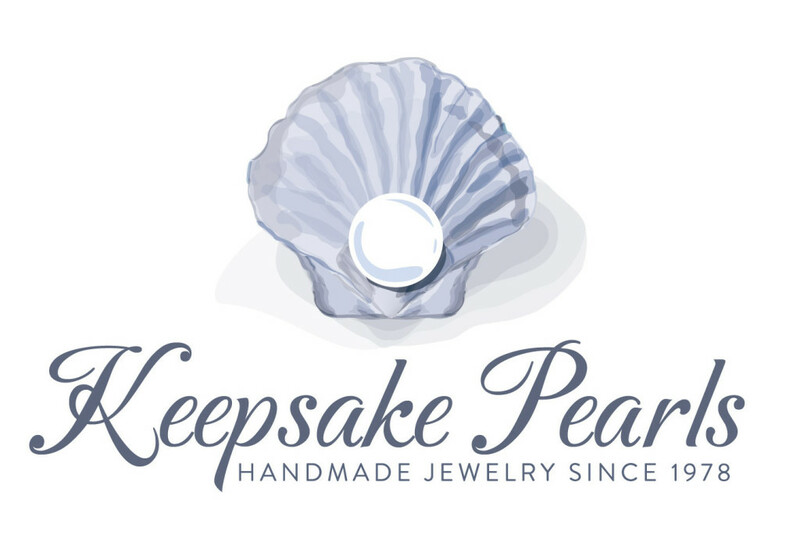 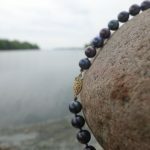 Keepsake Pearls offers unique Vermont made pearl jewelry. 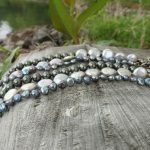 We are a small family owned business that designs and fabricates necklaces, bracelets and earrings locally. 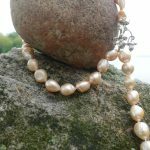 We buy the raw materials from all around the world; pearls, clasps, thread, silver and gold. 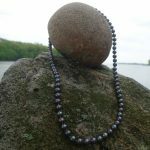 Our unusual necklaces are all created and knotted in Vermont, custom designed for your needs. 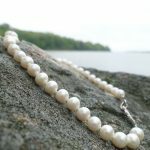 Since Chinese freshwater pearls now come in every imaginable color, shape and size we make necklaces with matching bracelets and earrings to suit any occasion. 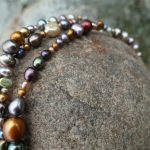 Formal classic strands as well as unusual mixed color coins are available. 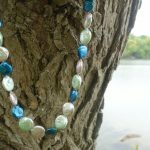 Our web site is arranged in general categories showing pictures of necklaces we have designed and sold. 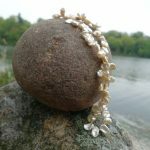 They are all on silk thread, knotted with wire wrap ends and have either a sterling silver or 14Kg clasp.